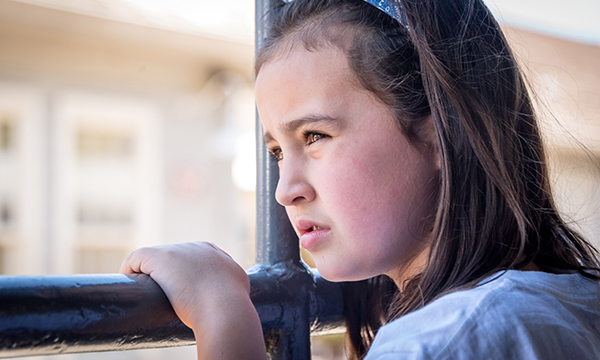 New National Institute for Health and Care Excellence guidelines suggest that early signs of attention deficit hyperactivity disorder remain largely undetected, especially in women. Attention deficit hyperactivity disorder (ADHD) is a group of behavioural symptoms including hyperactivity, impulsivity and inattention. Symptoms tend to be noticed at an early age and most cases are diagnosed when children are six to 12 years old. Common coexisting conditions in children include disorders of mood, conduct, learning, motor control, language and communication, and anxiety disorders. In adults, they include personality disorders, bipolar disorder, obsessive-compulsive disorder and substance misuse. New guidance from the National Institute for Health and Care Excellence (NICE) says the condition is often underdiagnosed in girls and women. NICE says women are less likely to be sent for assessment, more likely to be undiagnosed and more likely to be given an incorrect diagnosis of another condition. The guidance also highlights other groups who are also more likely to be overlooked, including those with co-existing conditions, such as those with epilepsy, a mental health condition, mood disorder or learning disability. Signs of inattentiveness in children include being easily distracted, making careless mistakes, appearing forgetful or losing things, being unable to stick at tasks, appearing to be unable to listen to or carry out instructions and poor organisational skills. The main signs of hyperactivity and impulsiveness are being unable to sit still, constantly fidgeting, unable to concentrate, excessive movement and talking, and being unable to wait their turn, interrupting conversations and little or no sense of danger. In adults, the symptoms of ADHD are more difficult to define, largely due to a lack of research, the NHS says. Genetic factors can have an influence, with family members frequently affected. NICE says there may be increased prevalence in people born preterm, looked-after children, children with mood disorders, people with epilepsy and people with neurodevelopmental disorders, including learning disabilities. There may also be higher rates in adults with mental health conditions, those with a history of substance misuse, people with acquired brain injury and those who have contact with the criminal justice system. Consider all the risk factors for ADHD to improve diagnosis in groups who may be missed. Not having an accurate diagnosis limits access to treatment and support, NICE says. Nurses should be aware of the impact of an ADHD diagnosis on the whole family. Encourage parents and carers to seek an assessment of their personal, social and mental health needs, and to join self-help and support groups if appropriate. Nurses should stress the value of a balanced diet, good nutrition and regular exercise for children, young people and adults with ADHD. But do not advise elimination of artificial colouring and additives from the diet. ‘This guidance is a step in the right direction, and welcomed in principle, however, there are still concerns. There is still widespread ignorance and misunderstanding by most mental health practitioners about ADHD, comorbid conditions and mental health difficulties. 'It is not clear how this will be funded and most clinical commissioning groups and trusts are not adhering to National Institute for Health and Care Excellence guidelines.